This bundle comes with 30 unique Photoshop brushes featuring stylish and modern ink splatter designs. The brushes are compatible with Photoshop CS2 and higher. These are perfect for crafting book covers, social media templates, and backgrounds. 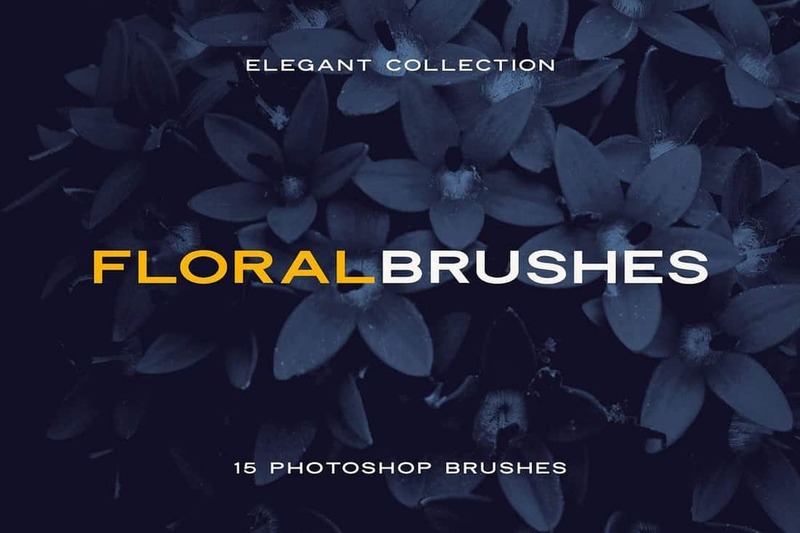 This is a collection of unique and elegant flower brushes for Photoshop. 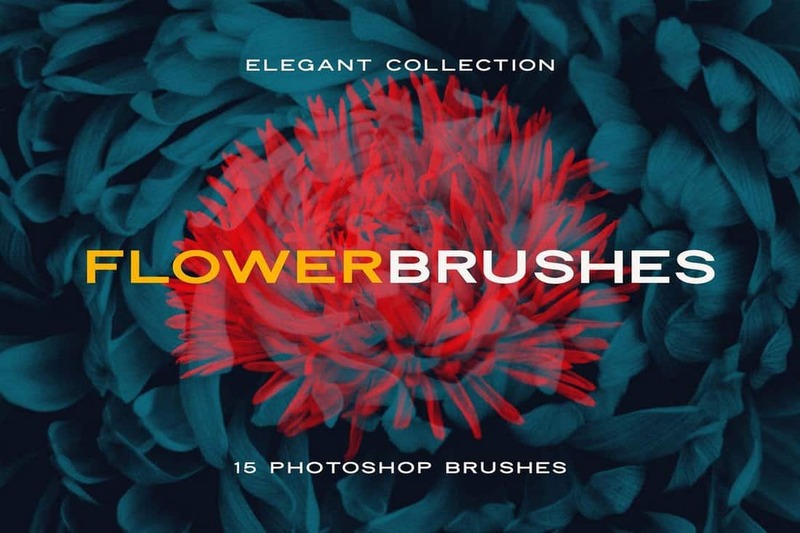 The pack includes 15 unique brushes featuring various styles of flower designs, including realistic designs of lilies, roses, and dandelions. Stipple brushes are a type of brush commonly used by illustrators and designers. 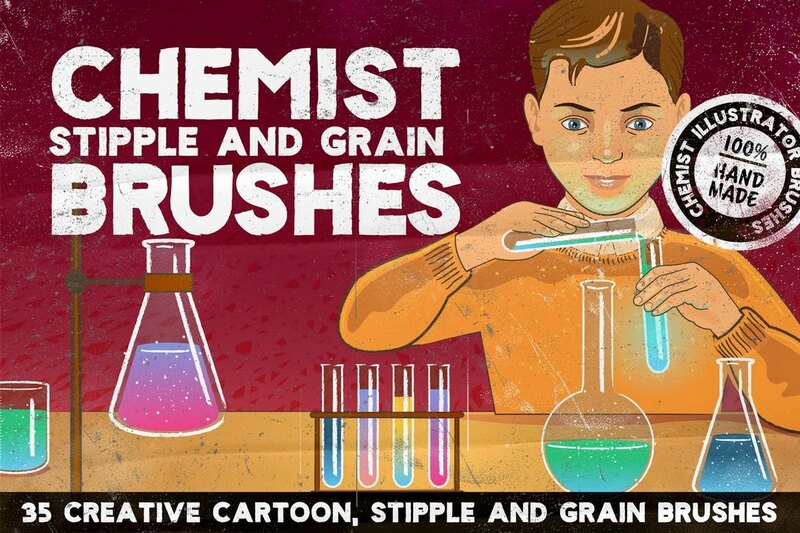 This pack comes with a set of professional sipple brushes for both Photoshop and Illustrator. It features 32 PS brushes and 30 Illustrator brushes. 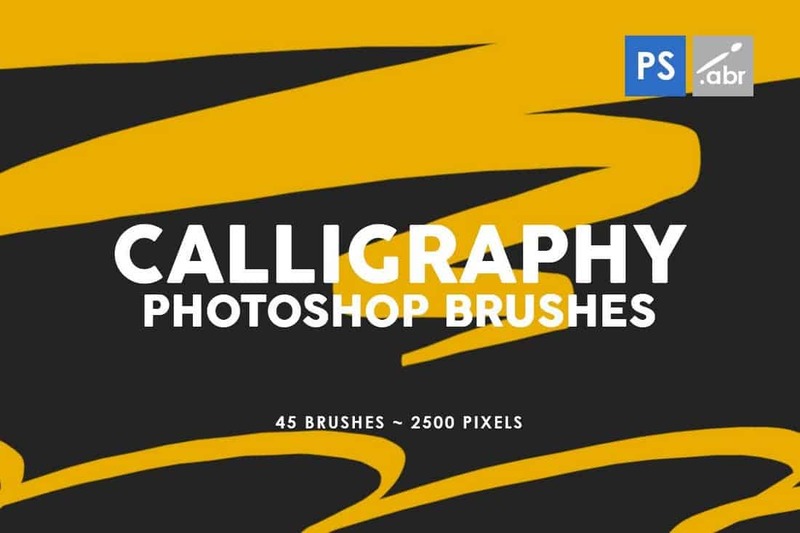 This pack of Photoshop brushes comes with 45 unique stamp brushes featuring calligraphy designs. It’s ideal for designing decorative design environments and mockup layouts for your presentations. Featuring realistic flour splatter designs, this bundle of Photoshop brushes will be quite useful when crafting unique backgrounds and social media designs, especially for designs related to food, hotels, and restaurants. Another bundle of beautiful floral Photoshop brushes featuring 15 unique brush designs. These brushes are perfect for making stationery designs, ornaments, apparel designs, and more. 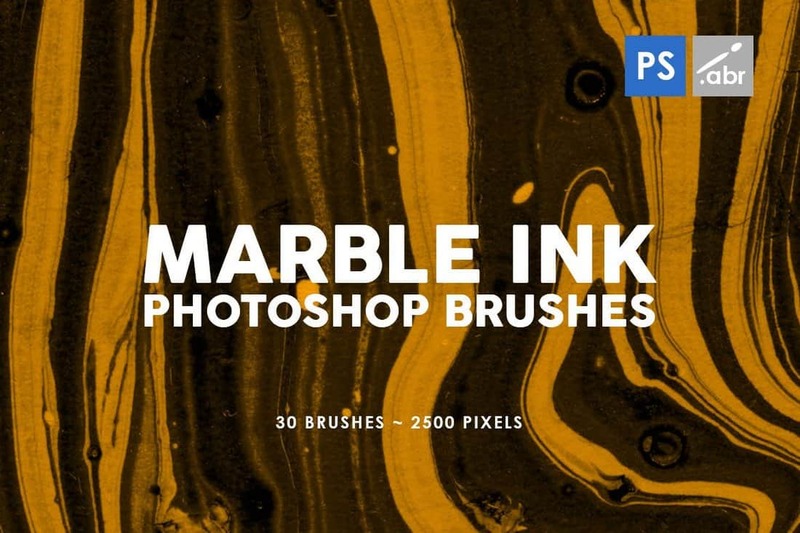 A collection of 30 unique Photoshop brushes featuring creative marble ink designs. These are fully compatible with all versions of Photoshop from CS2 and higher. They are available in 2500px resolution. 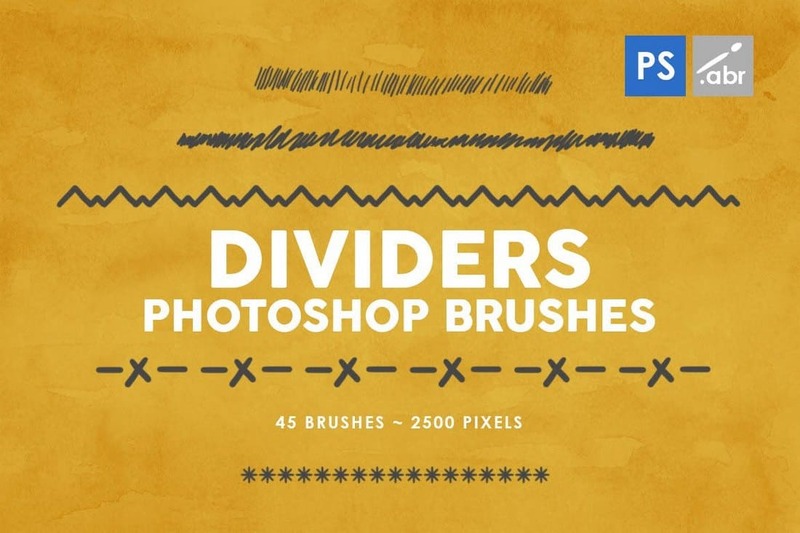 This collection of creative and beautiful Photoshop brushes comes with 45 different stamp brush designs featuring various styles of dividers. These are perfect for making decorative designs, frames, and much more for your posters, greeting cards, flyers, and stationery. 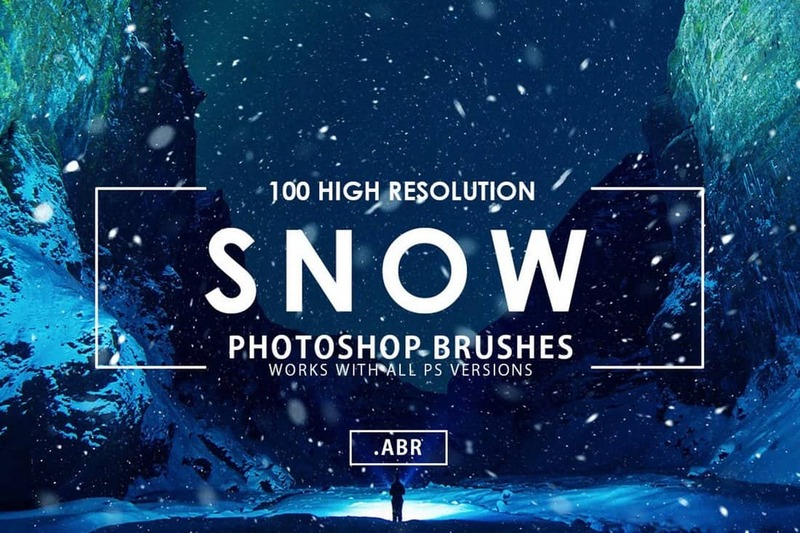 A massive bundle of 100 Photoshop brushes featuring snowy designs. This pack comes in 2 different versions to make it compatible for both older and newer versions of Photoshop. 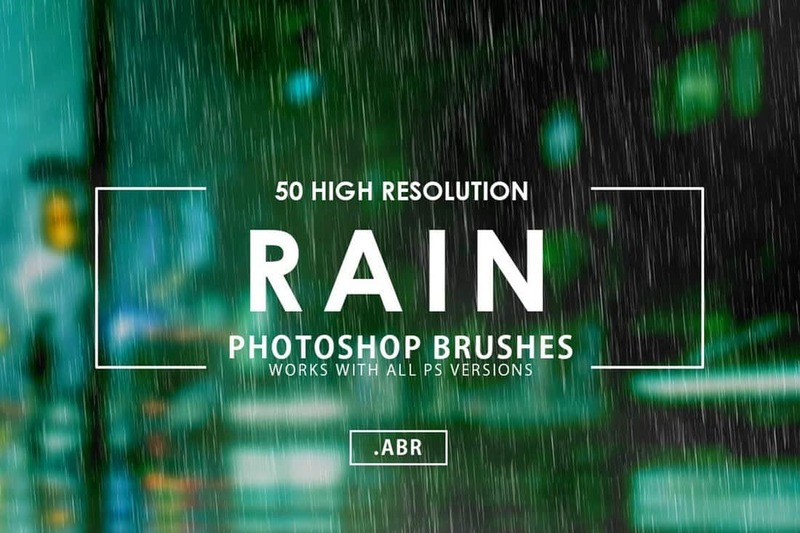 This set of Photoshop brushes feature various styles of rain designs. You can easily add a quick weather effect to your designs using these rain Photoshop brushes. You can also use Shapen and Blur filters to enhance the effects. Watercolor brushes are quite popular among all designers. 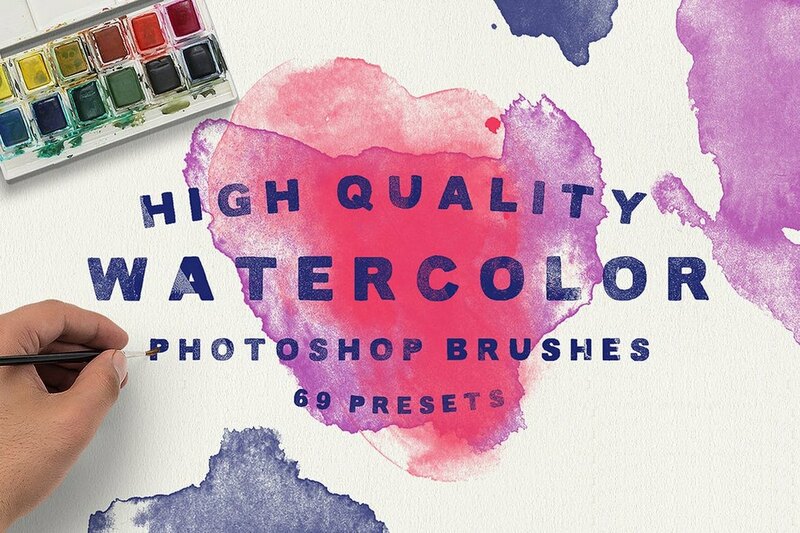 Especially when it comes to designing greeting cards and posters, a set of quality watercolor brushes is a must-have. This bundle comes with 50 stylish Photoshop watercolor brushes in various shapes and styles to suit different kinds of design projects. 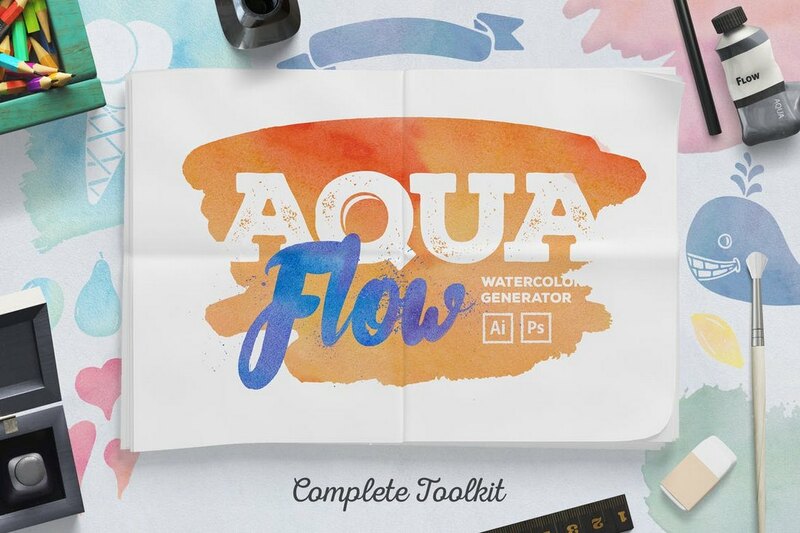 This is a complete toolkit for designing all sorts of watercolor designs. It comes with 54 Photoshop watercolor brushes, 36 seamless patterns, and 108 layer styles. As a bonus, it also includes brushes, symbols, and patterns for Illustrator as well. 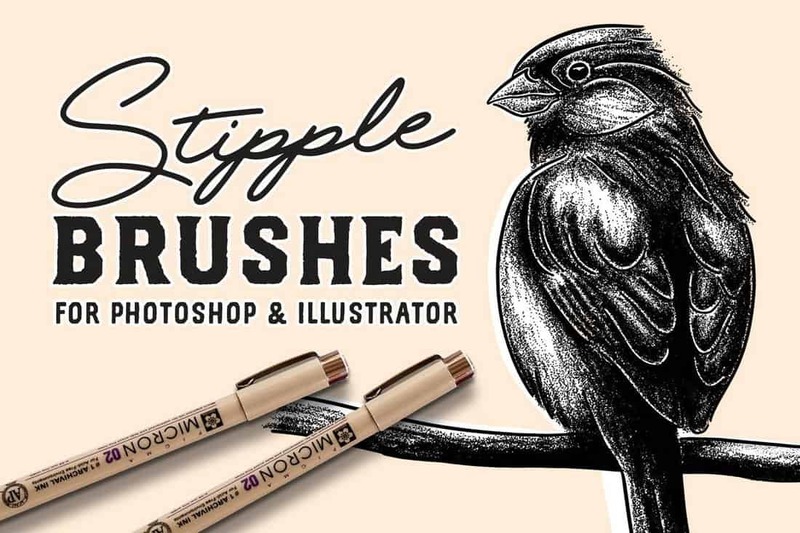 If you use Photoshop for drawing illustrations and painting, this is a bundle of brushes that you should definitely get. 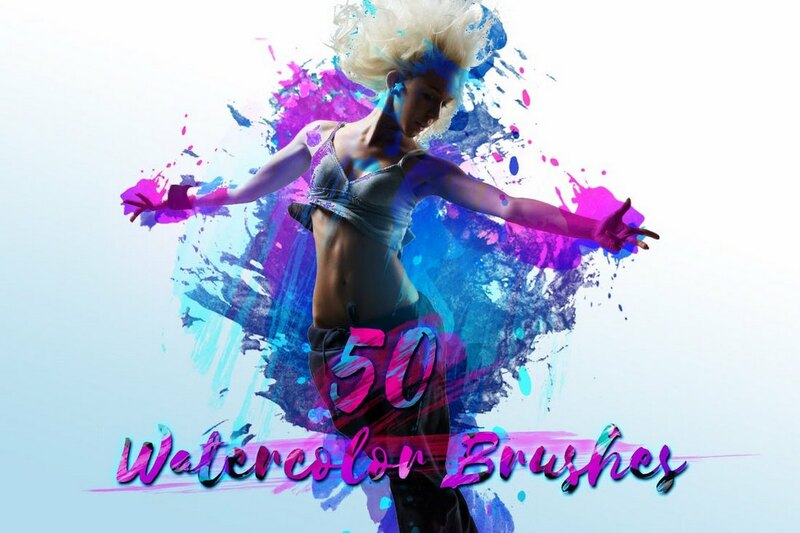 Designed by a professional, this collection comes with 330 high-quality Photoshop brushes in 5 different artistic categories. 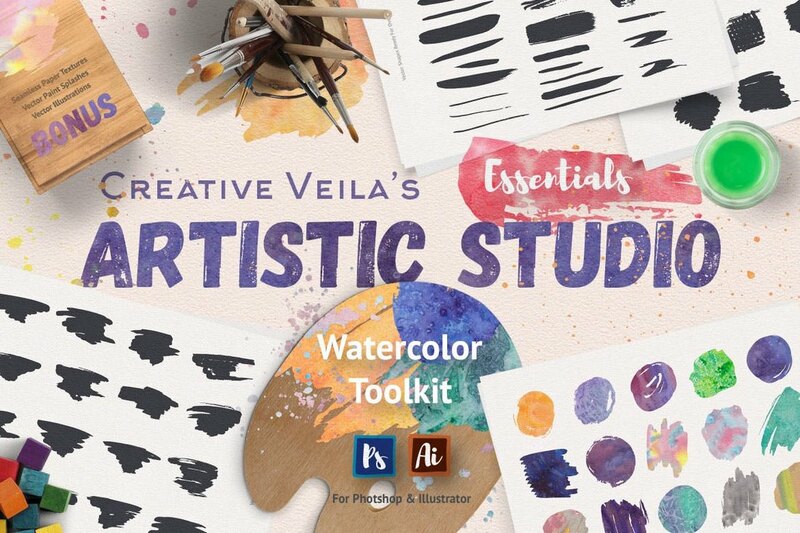 Inspired by various types of paint brushes and acrylic paint, this collection comes with 100 Photoshop brushes you can use to authentic designs like a true professional. They are compatible with Photoshop CS1 and above. The sizes of the brushes range from 400 pixels to 2500 pixels. Similar to light leaks, Bokeh is a type of effect commonly used to make outdoor photos look more beautiful. 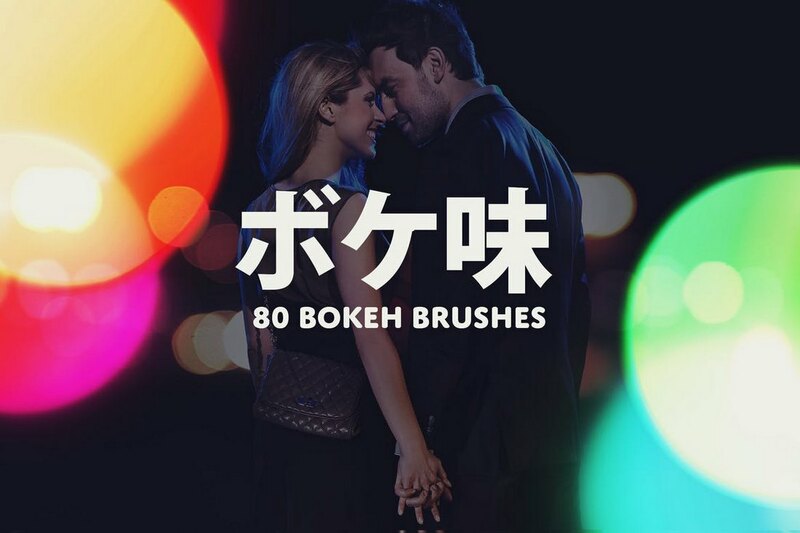 This pack includes 80 different Photoshop brushes for creating and adding a stylish Bokeh effect to your own photos. This is a collection of Photoshop brushes for all artists and designers who love to work with watercolor style designs. The pack includes 35 Photoshop brushes, 38 pastel patterns, splashes, and lots of vector elements. 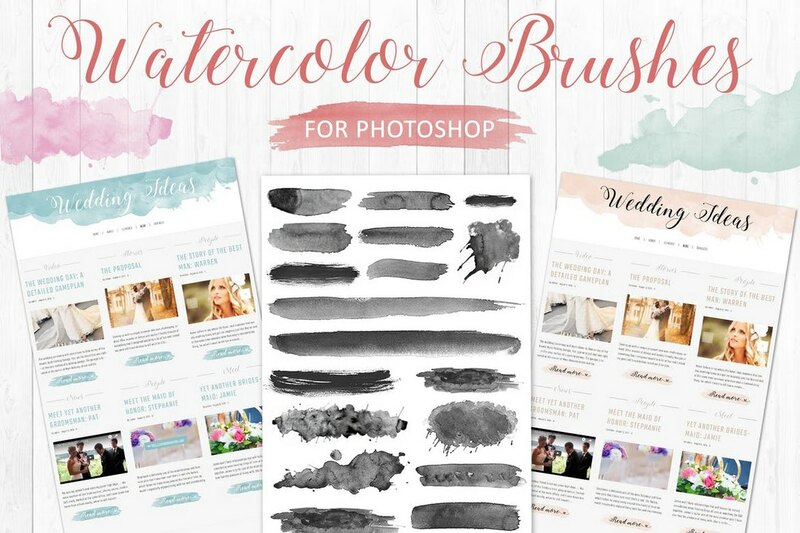 This collection of Photoshop watercolor brushes will come in handy for crafting stylish greeting cards and invitation cards. 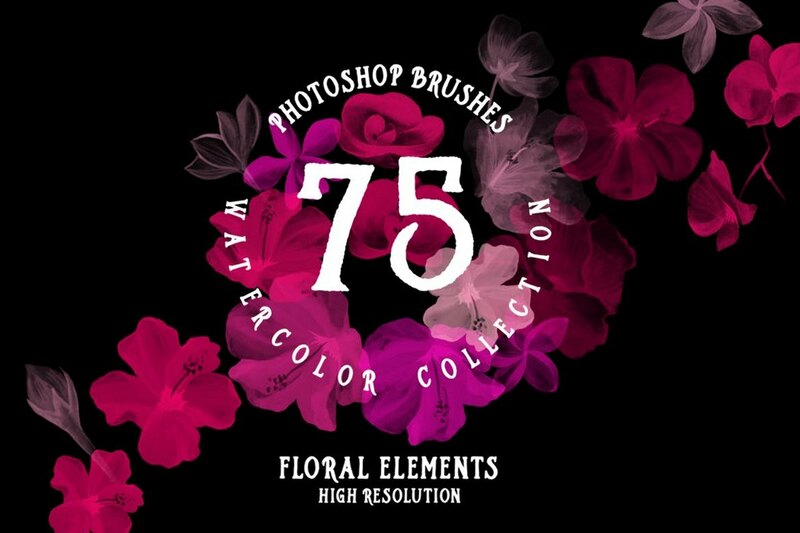 It features 75 unique Photoshop brushes, including 60 floral brushes. 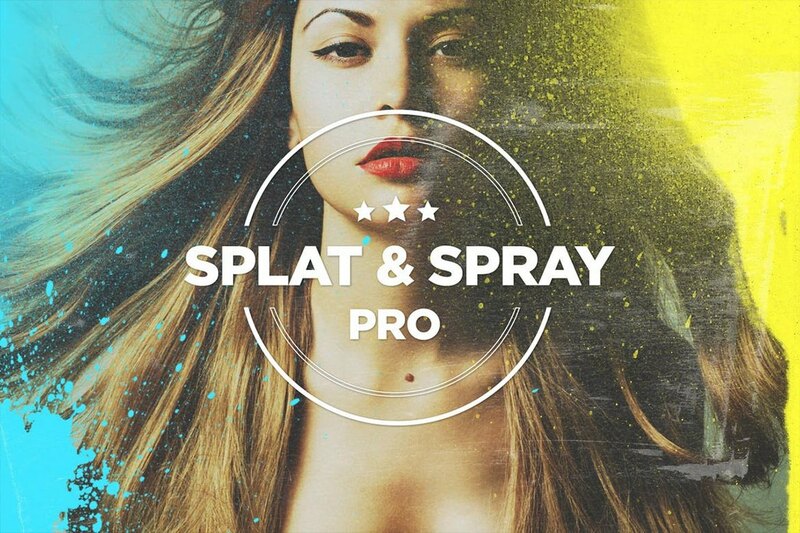 Looking for a brush to create an authentic splatter effect? Then this collection of brushes is just for you. 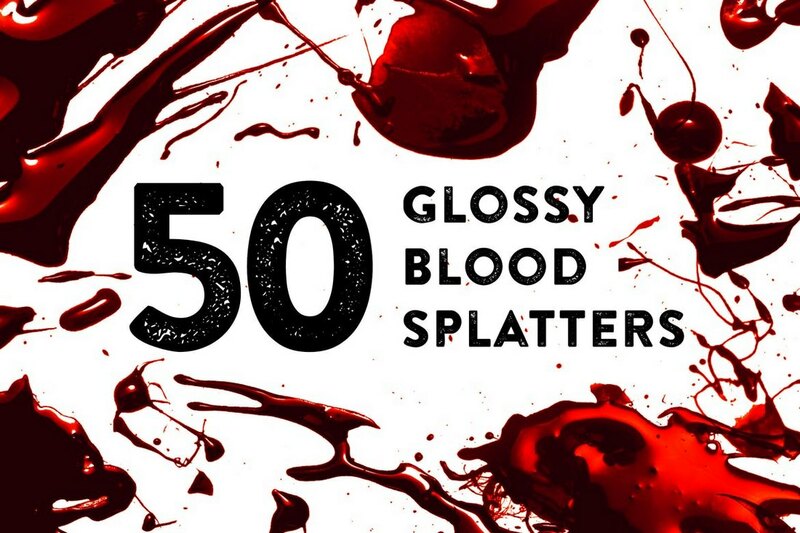 This bundle features 50 Photoshop brushes with a glossy look that can be easily adjusted to look great with acrylic paint, blood, or paint themed designs. 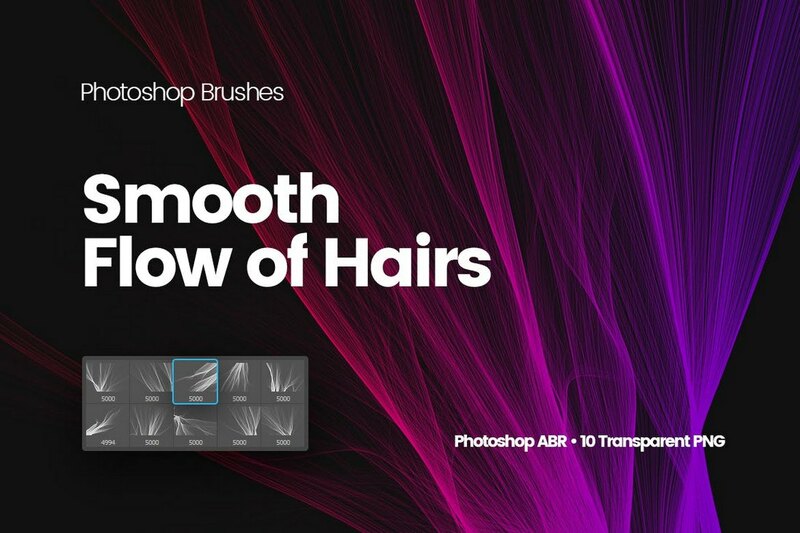 This collection includes 10 unique Photoshop brushes featuring digital flow-like effects. These are perfect for creating stylish backgrounds and textures for websites and social media posts. 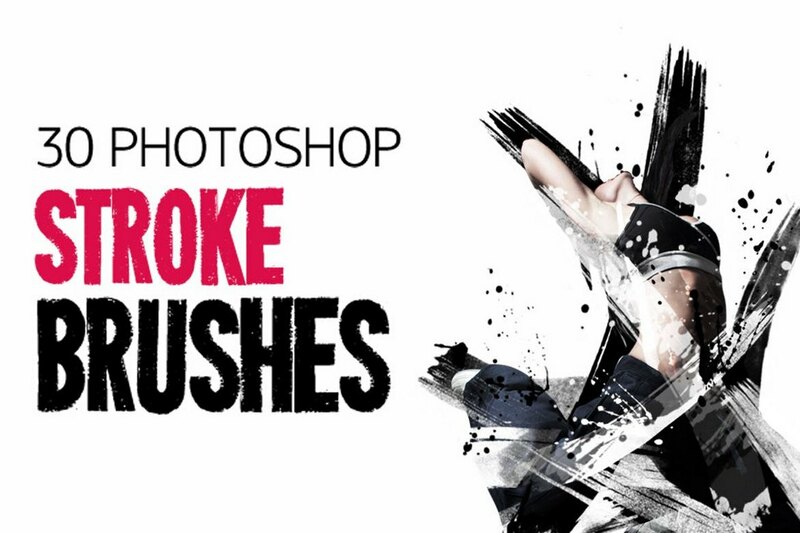 Practice using all kinds of strokes to create patterns and effects with this bundle of 30 Photoshop stroke brushes. It’s ideal for creating decorative designs as well. Another set of Photoshop brushes with digital geometrical designs. 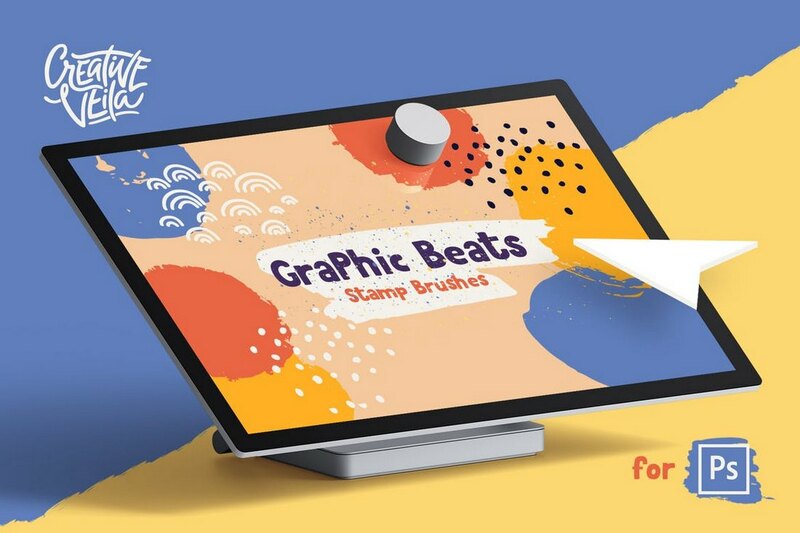 It includes 10 abstract brushes you can use to create unique effects, backgrounds, vector illustrations, and more. 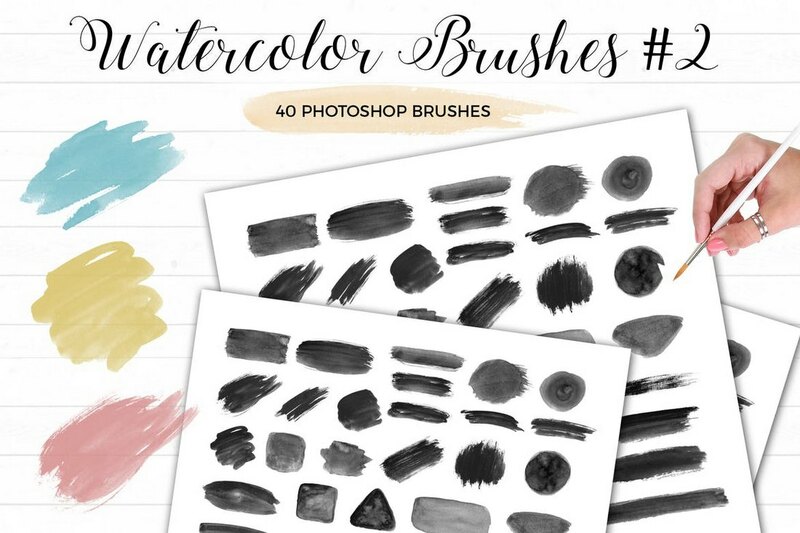 A set of watercolor brushes that features many different styles of strokes. The pack includes 40 different brush types and it’s most suitable for designing greeting cards and paintings. 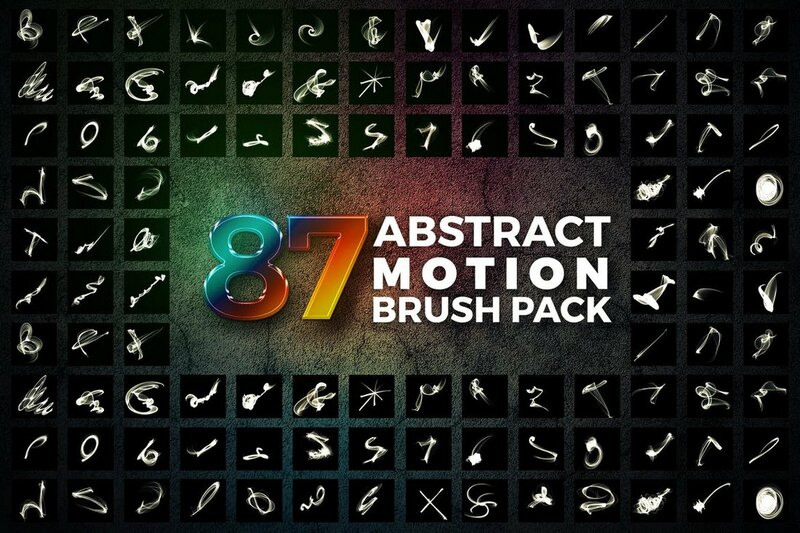 This is a unique bundle of abstract brushes that feature 87 different styles of movements. These brushes will come in handy for designing smoke effects in Photoshop. 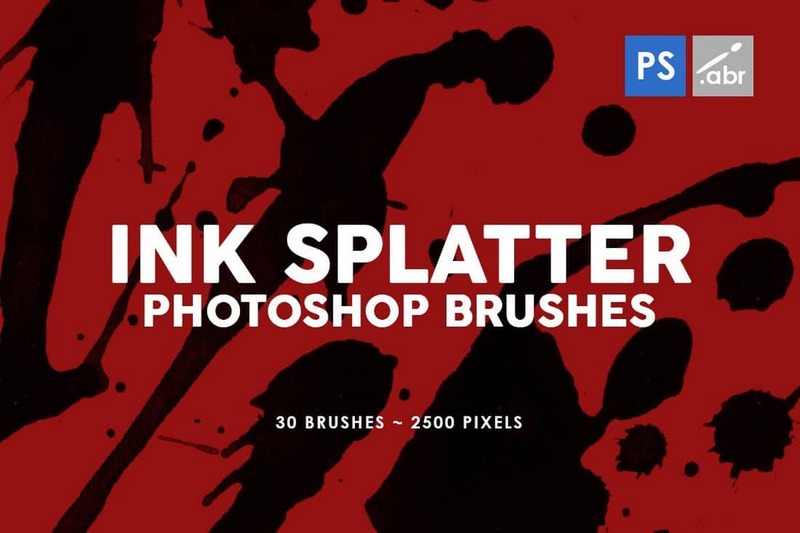 If you’re a fan of splatter brushes then you’re going love this pack of Photoshop brushes. 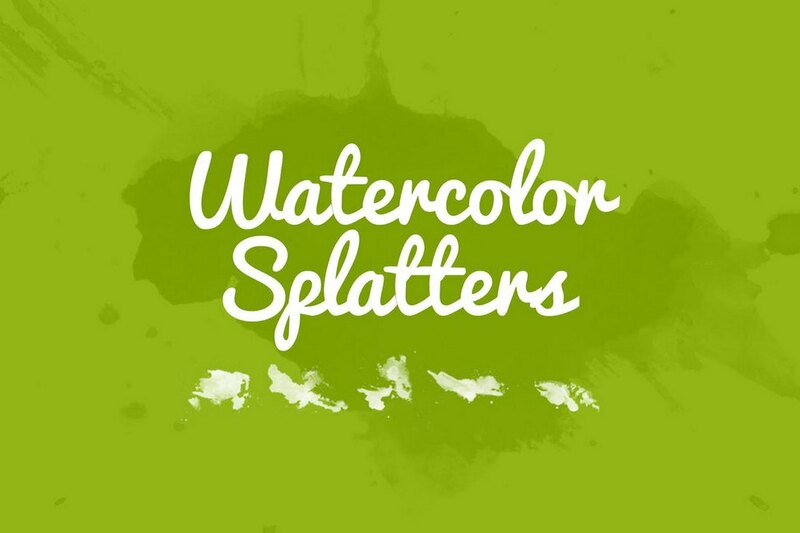 It includes 30 brushes featuring watercolor style splatter brushes. As a bonus, it comes with 3 cold press watercolor paper textures as well. 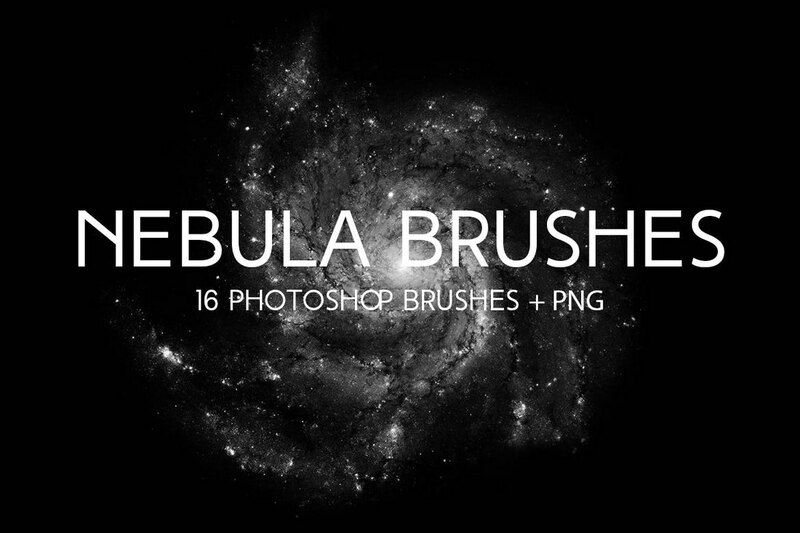 Create amazing space nebula effects using this bundle of Photoshop brushes. With 16 different styles of space brushes, you can create amazing backgrounds, posters, flyers, and much more using these brushes. Another set of watercolor brushes featuring 30 different styles of strokes designs. This bundle is made for artists and designers for creating everything from beautiful drawings, illustrations, and designs. 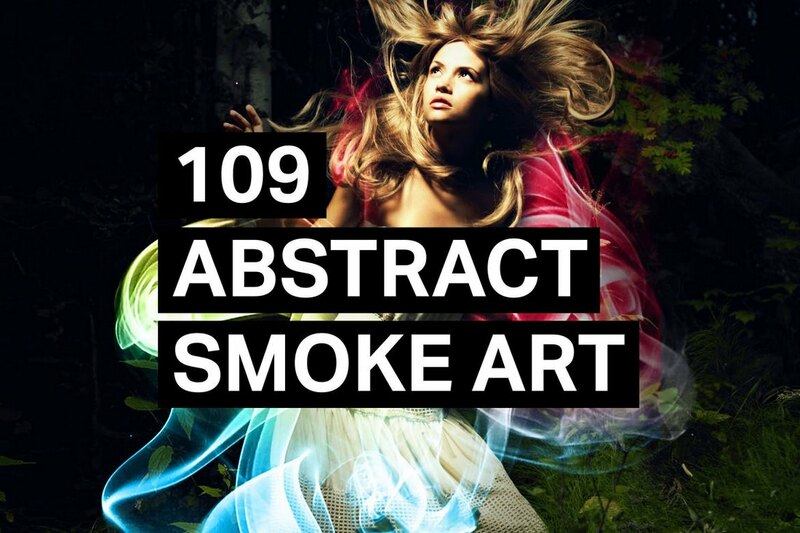 A collection of 109 Photoshop brushes you can use to create stylish smoke style art and effects. According to the designer, they are quite easy to color. The pack comes with a set of smoke gradients as well. We know you can never get enough of watercolor brushes. 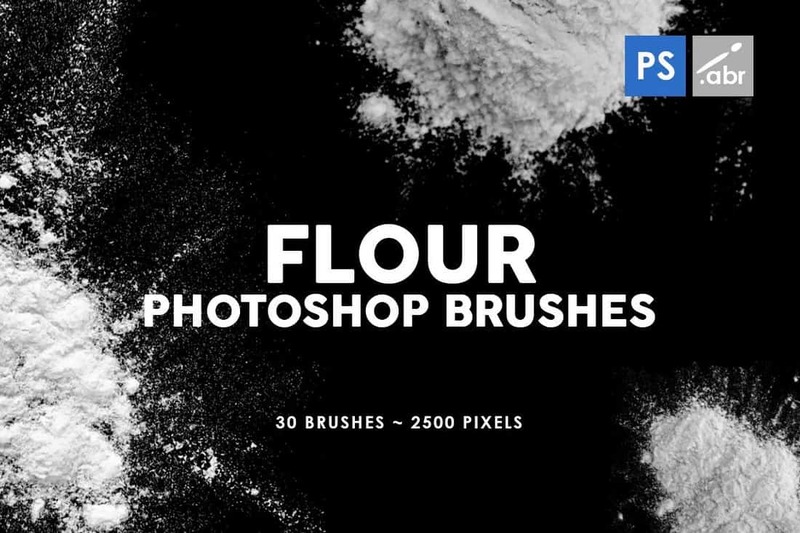 This pack includes 69 more professionally crafted brushes you can add to your growing collection of Photoshop brushes. 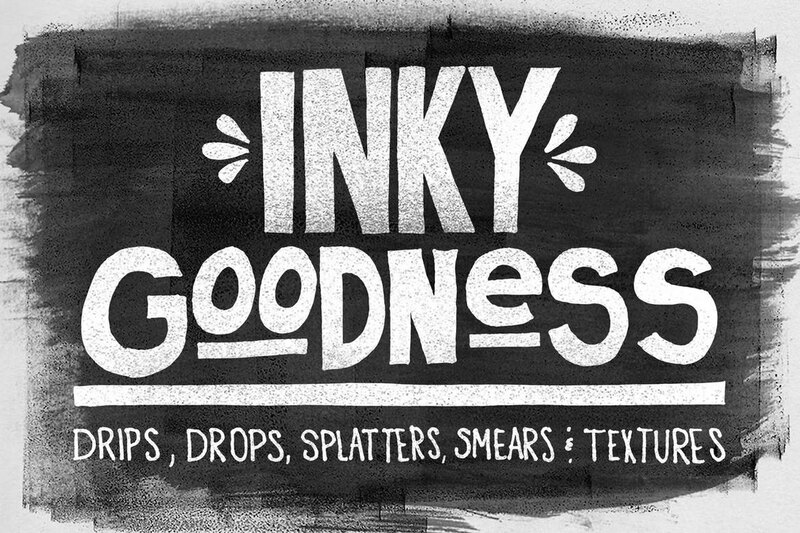 This is a unique collection of Photoshop brushes that comes with stylish inky designs. It includes a total of 61 brushes in 4 different sets, featuring drops, drips, rollers and brush strokes. If you love working on designs related to acrylic style, this is a collection of Photoshop brushes you should download immediately. 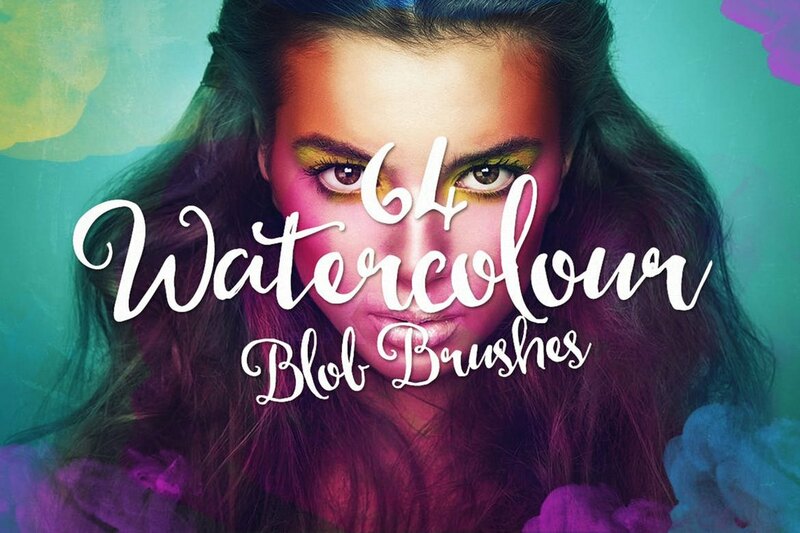 It comes with 27 brushes inspired by acrylic and gouache tools. They are compatible with Photoshop CS3 and above. 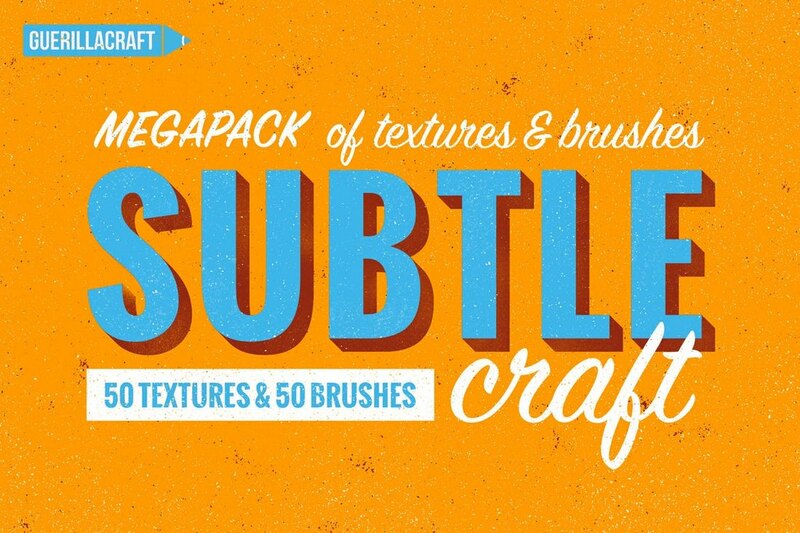 A collection of unique brushes featuring a wide range of styles, including scatter shader, textured, clear line, grain and stipple, decorative brushes, and much more. 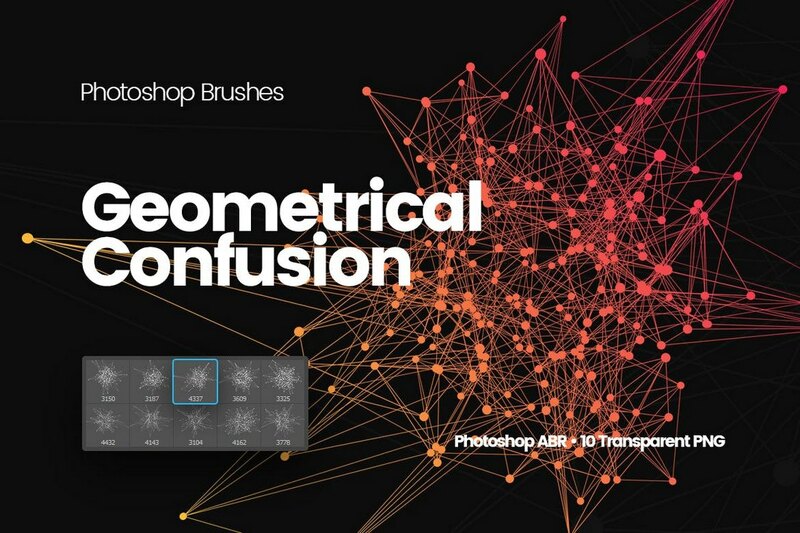 It includes a total of 10 brushes that are compatible with Photoshop and 35 brushes for Illustrator. With more than 100 unique brushes, this bundle will give you plenty of options to choose from when designing grunge and retro-themed textures and designs. 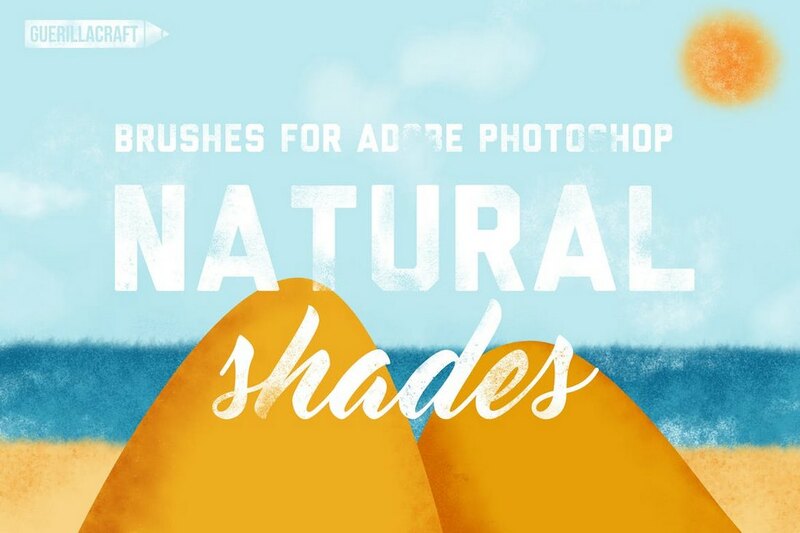 This bundle of shading brushes is made specifically for illustrators and designers who love to work with natural media brushes. It includes 40 unique pressure sensitive brushes. You can create different types of retro-themed textures, art, and designs using this pack of Photoshop brushes. 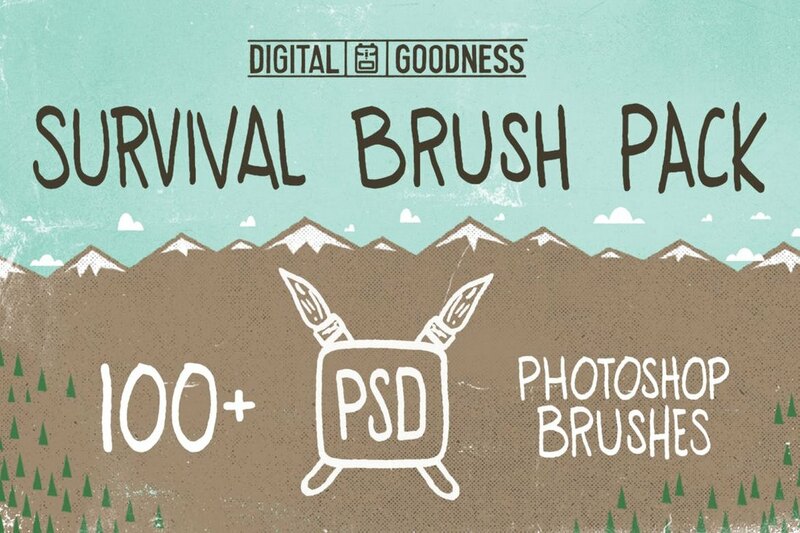 It comes with 50 unique brushes and a set of 50 textures in vector format. Creating amazing overlay effects will be a piece of cake when you have this collection of watercolor brushes. 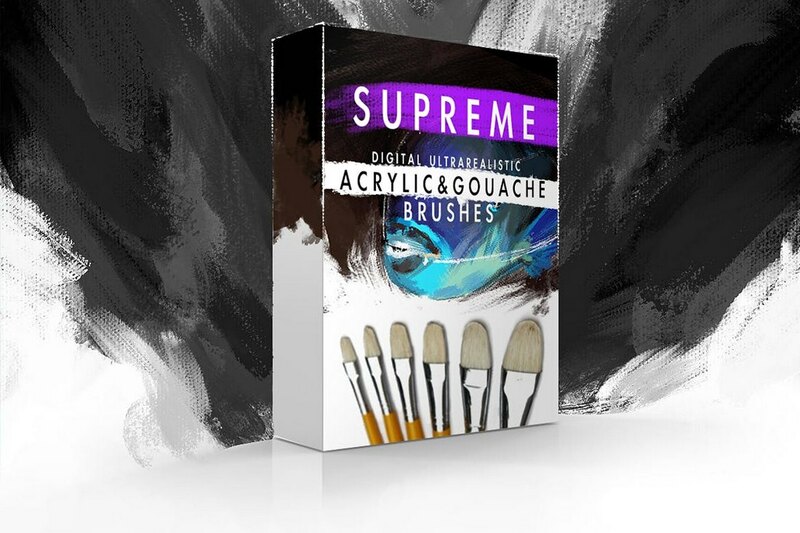 It comes with 64 different styles of brushes with sizes ranging from 850 to 1200px. This is an unusual bundle of Photoshop brushes that includes a mix of 30 spray painted brushes and 17 splatter acrylic brushes in the same pack. It’s ideal for creating effects and textures. 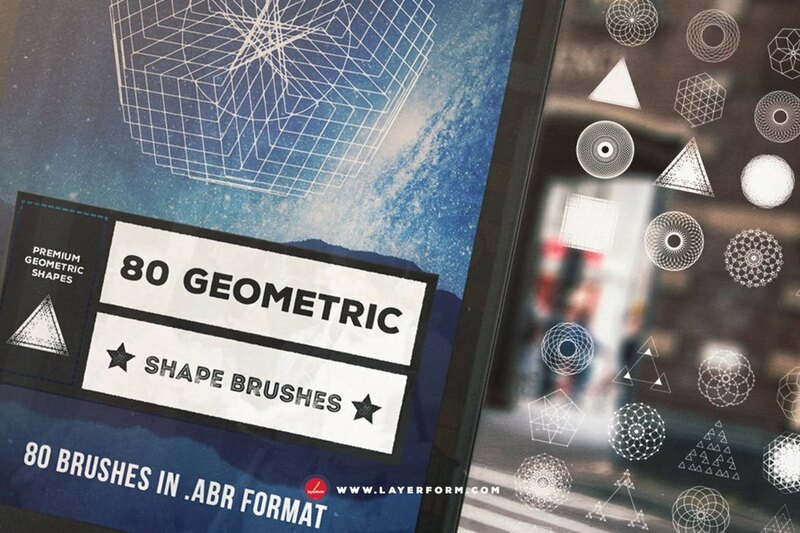 The brushes in this bundle feature unique geometric shapes. With more than 80 different brush styles to choose from, you can use this pack to create stylish illustrations and designs for posters, flyers, and backgrounds. 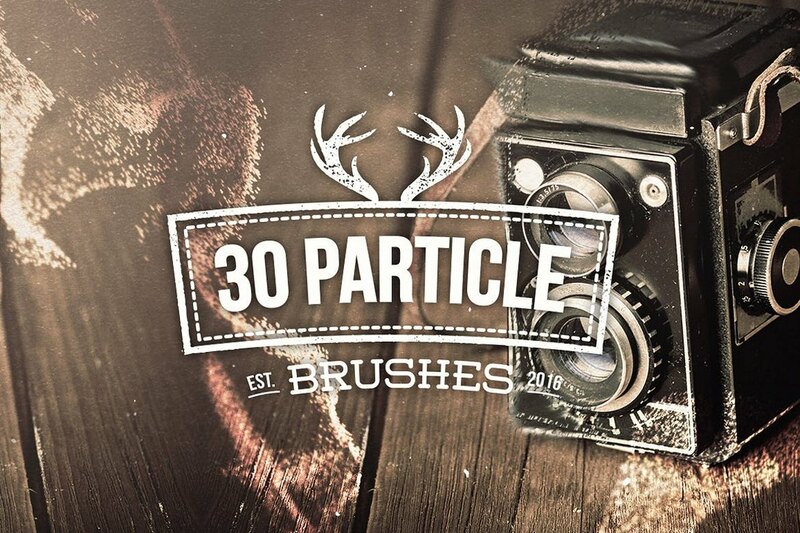 A collection of stylish Photoshop brushes featuring 30 different particle effects. It’s perfect for crafting stylish particle effects in your website backgrounds and even in your print designs. A bundle of hand-crafted Photoshop brushes featuring unique distressed effects. 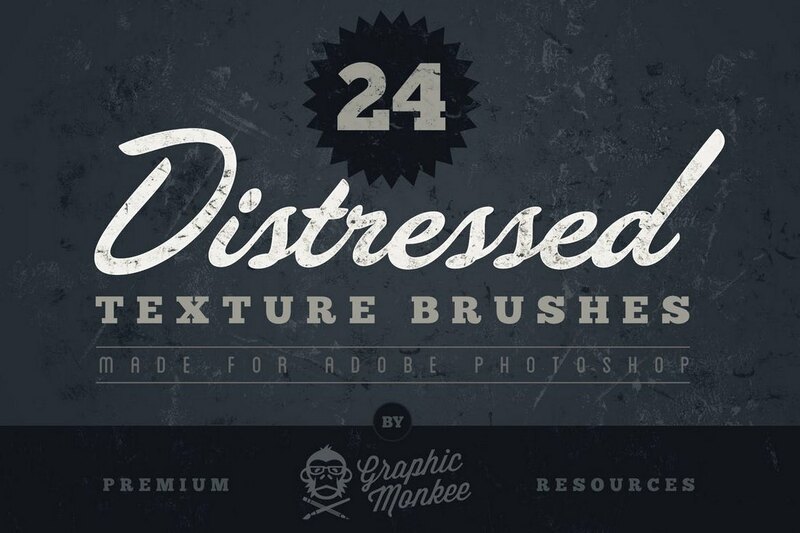 These brushes are ideal for giving a vintage feel to your designs. 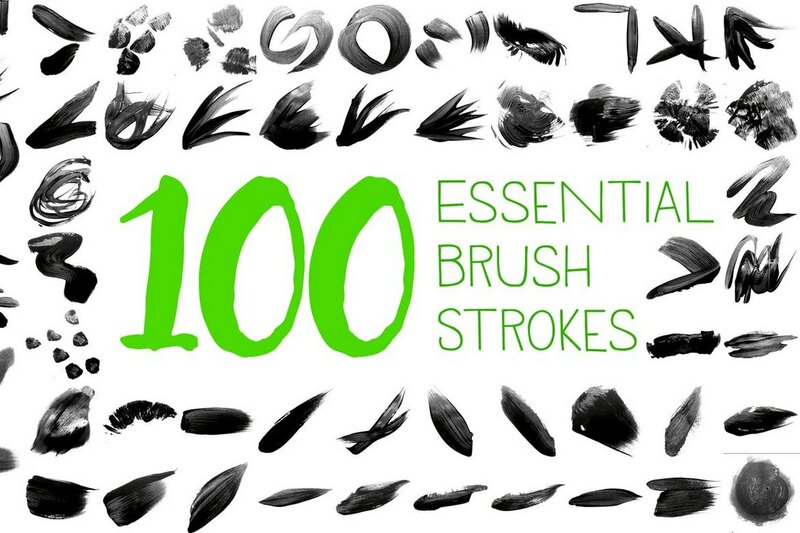 This is a collection of brushes made for illustrators and artists. 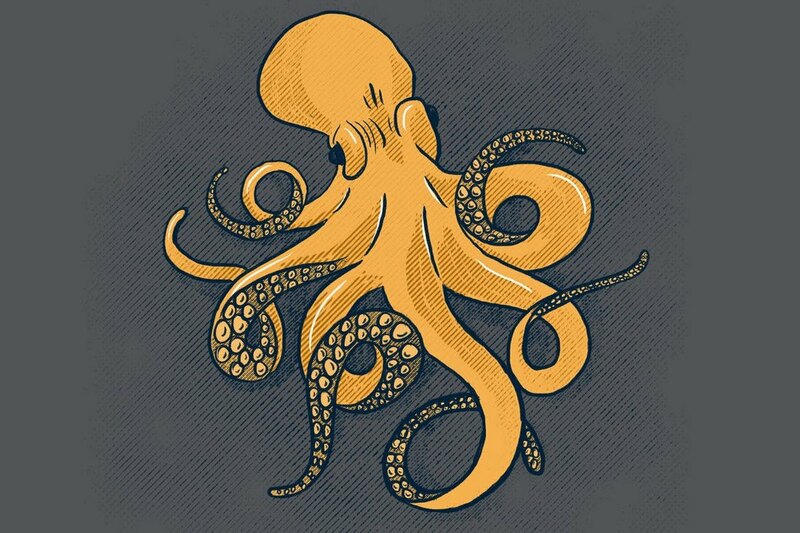 It comes with 32 halftone and dot stamp brushes for giving your illustrations a vintage look. It also includes 8 artist brushes for shading as well.